Reasons for Choosing to Work on "World War Z"
Brad Pitt is interviewed in the above video regarding his upcoming film, "World War Z". At the 0:35 mark, Angela Jolie's husband can be seen displaying a "Tongue in Cheek" nonverbal just after he says the word territory in the following sentence: " ...I, I, I, I love these big summer films and ahhh ... and hadn't really ventured into that territory ...." (The movie-star's stuttering is very notable here). The tongue in cheek nonverbal can have multiple meanings depending on the other specific body language-facial expressions with which it is clustered. In other contexts the tongue in cheek body language can indicate, an alpha dominant display, a sexually provocative expression, anger, sadness or grief, or "I gotcha"/"you were caught"/"I just won". 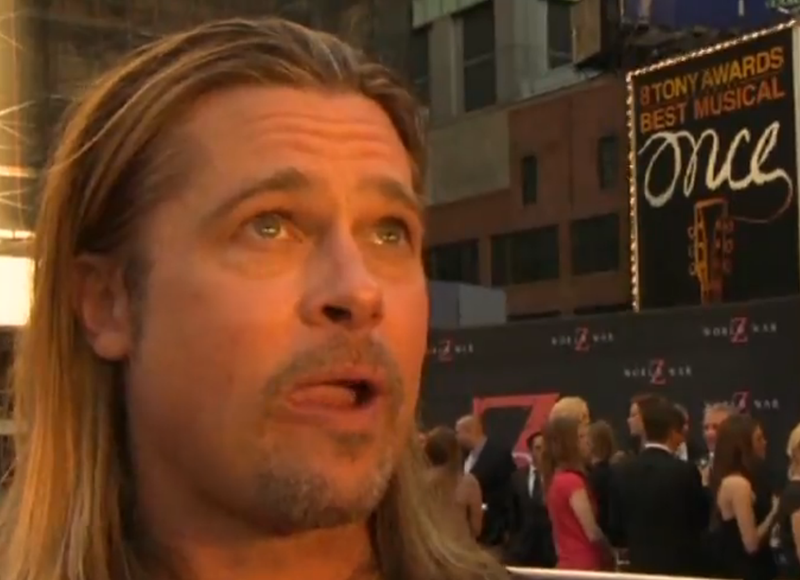 In this context however, the tongue in cheek indicates that Mr. Pitt is telling a lie. What other simultaneous and near-simultaneous nonverbals are also consistent with Mr. Pitt's attempt at deception? Tongue in cheek displays tend to be biased to one side if the context is beta/negative (e.g. sadness, lying) and to the opposite side in an alpha/positive scenario (e.g. sexual context, I gotcha/I just won/you were caught, an outright alpha display). These left vs. right sided tongue tendencies are idiosyncratic to the person and should be normed. When the tongue in cheek is used in the setting of a lie, this highly specific move helps in the suppression of a smile, blushing or laughter. Thus in the context of a lie it has significant overlap with the phenomenon of "Duping Delight". Are you able to differentiate the various tongue in cheek emotions? Could you do so on the street? During a deposition? On a date? Trying to close a sale?